Designed for maximum warmth, the R5® Yulex® Mitts keep your hands comfortable in the most extreme cold; built from 7mm 85% Yulex® natural rubber/15% synthetic rubber by polymer content, with 100% external seam sealing and a fast-drying inverted microgrid lining. Made in a Fair Trade Certified™ facility. 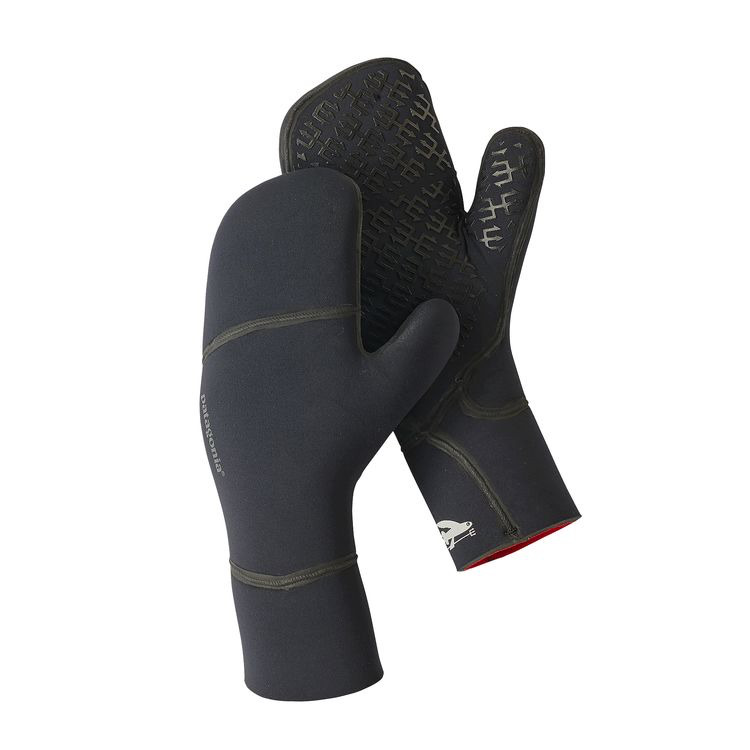 Suggested water temperatures: 32–38° F/0–3° C.
Made of ultrawarm 7mm 85% natural rubber/15% synthetic rubber by polymer content, our R5® Yulex® Mitts are designed for comfort and dexterity in the most frigid surf conditions. With a warm, fast-drying 95% polyester (51% recycled)/5% spandex inverted microgrid thermal lining, the design keeps the fingers together for increased warmth and conforms to the hand for a snug fit. A 3-D silicone palm print maximizes grip; 100% external seam sealing eliminates leaks. All seams are triple glued and internally taped at high-stress areas for durability and strength. Exterior face fabric is stretchy and durable 88% recycled polyester/12% spandex. The natural rubber content is derived from sources that are Forest Stewardship Council® certified by the Rainforest Alliance. Made in a Fair Trade Certified™ facility. Suggested water temperatures: 32–38° F/0–3° C.